Michael Rypka opened the first Torchy’s in a food trailer and now there are 50 restaurants across the country. The green chili queso and homemade chips at Torchy’s are so good that I sometimes skip the tacos completely and just order the queso and chips. Torchy’s queso is topped with fresh guacamole, queso fresco, cilantro and diablo hot sauce and is a must try dish. Kerbey Lane is one of Austin’s most iconic restaurants. The 24 hour diner offers a few different kinds of queso (including a fantastic vegan queso), but I recommend the Kerbey Queso. One word: guacamole. Magnolia Café is open 24 hours, so you can visit one of their locations any time you have a queso craving. My older brother worked at Magnolia&apos;s South Congress location while he was a University of Texas student, so I have been eating the famous Magnolia Mud (queso with black beans) since the 1990s. Opened in 1952, Matt’s El Rancho has been a local favorite for a long time. This is the place Longhorn fans gather before the night games and after the day games. 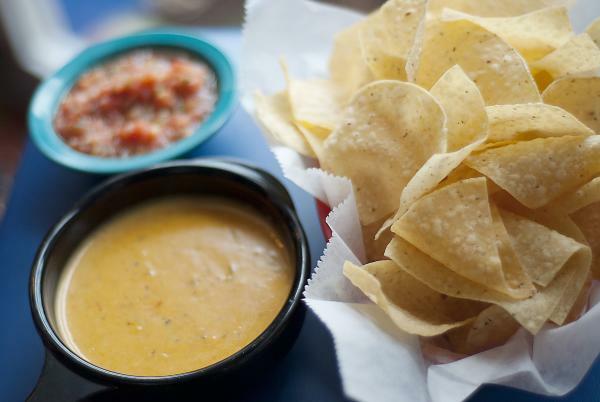 It drips of tradition, as well as the legendary Bob Armstrong queso with chips. Best known for their inventive breakfast tacos, Tacodeli’s white queso is a great balance to their award-winning spicy salsas. Visit for breakfast and order my favorite taco, The Vaquero, plus a side order of queso. Chuy&apos;s chips & queso. Courtesy of Angela Baldridge. The first Chuy&apos;s opened in 1982 on Barton Springs Road. Since then, Chuy’s has opened restaurants across the country. Their queso is made of cheese, green chile sauce and ranchero sauce and is one of my favorites. Visit during Happy Hour for a free “nacho bar,” which includes chips, salsa, refried beans and queso. Opened in 1990, Mi Madre&apos;s has been a long time Austin favorite on the East Side. Sit on their colorful patio and try the Mi Madre’s queso or Saltillo dip. Shady Grove is one of my favorite restaurants in town. It has a large pecan-shaded patio, live music, one of the best burgers in town and really good queso. Bonus: add the guacamole and pico de gallo. Pulled pork is also an option. Serving interior Mexican food and offering outside and inside seating, Polvos is a place I bring a lot of out-of-town friends. I love their margaritas, self-serve salsa bar and their chips and queso, topped with guacamole, ground beef and pico de gallo. Jack Allen’s is one of my favorite brunch spots in town. Owner and chef, Jack Gilmore, serves up fresh, locally sourced food and they have a great cocktail menu. Their queso includes green chili, pork and guacamole so it can be a full meal in itself! Heading to Austin in August? Check out Quesoff, an annual celebration of all things melted cheese, which takes place at the Mohawk (912 Red River). 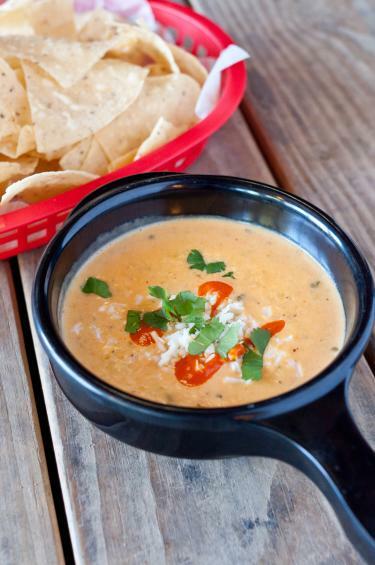 What Austin restaurant serves your favorite queso? Tell us with #TrueAustin on Twitter or Instagram! Photo of Torchy&apos;s Tacos courtesy of Aimee Wense. 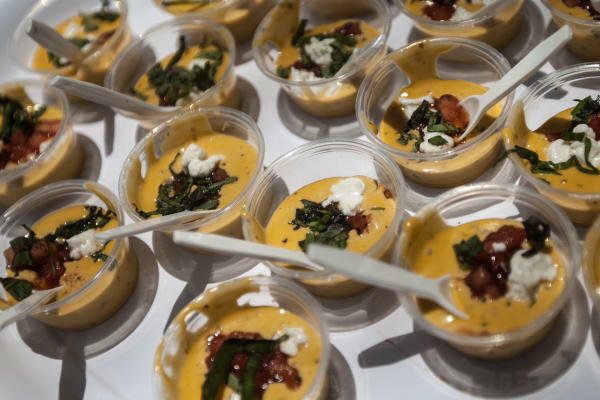 Photo of queso samples courtesy of Quesoff.